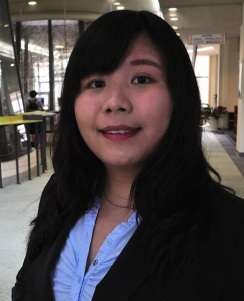 Ashley is currently a senior majoring in economics at National Taiwan University. Wwoofing in France and Germany for the past two summers showed her that friendship can cross ethnic boundaries and connect the world. She believes TASC will facilitate lifelong friendships and allow students in Taiwan and the United States to broaden their perspectives. She has played the clarinet in a Wind Band for 9 years, and was a former leader and public relations officer of the band. In addition to outdoor exploration and music, she enjoys watching movies, photography, and swimming. She plans to attend a graduate school to study Law Integration, and hopes to be an international lawyer or consultant.